With massive energy and water use, as well as the use of pesticides and plastics, sustainability issues are a mounting problem facing the cannabis industry. But there are innovators — cultivators, executives, city governments, and innovative entrepreneurs, among others — trying to fix these issues. 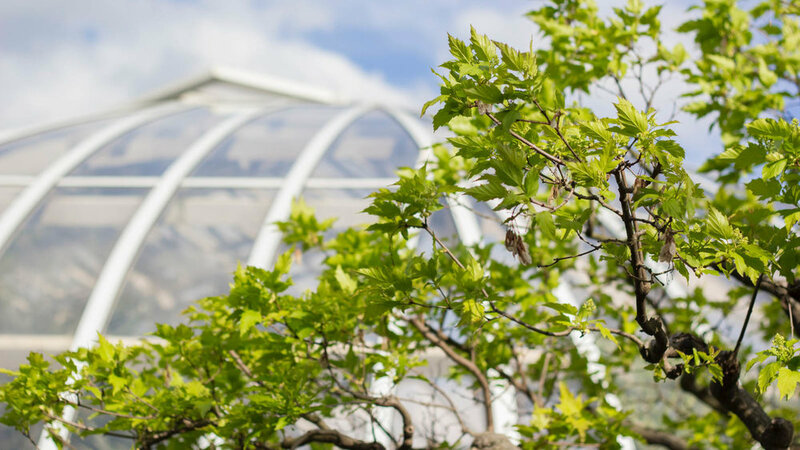 While environmental organizations slowly pick away at the plastic icebergs clogging up the ocean, companies on land are seeking to reintroduce the fruit of their hauls back into the supply chain. What are the current challenges involved in using reclaimed ocean plastic in packaging and will more companies move into the field in the future? The cannabis industry is participating in global efforts to make our world a better place. Set to launch this spring 2019 is Sana Packaging’s new product line that is dedicated to helping clean up the planet’s beautiful oceans. Have you happened to notice a growing pile of weed bags in your trash or recycling bin over the past few months? Cannabis is experiencing a bit of a waste problem. As the green wave rolls across the country, ancillary industries like packaging have had to play catch up to the rest of cannabis production. The environmental repercussions of tamper proof packaging and Mylar “exit bags” has sounded the alarm on a market and culture that has historically been linked to environmentalism, reduced carbon emissions, and, like…overall positive vibes for Mother Earth, man. The nascent cannabis industry has a lot to think about - regulations, federal prohibition, building a complete infrastructure... it's a lot. But in a world where climate changes are real and there is a island twice the size of Texas of plastic floating in the pacific ocean, isn't it time for the cannabis industry to think about sustainability? This week, we're breaking down the waste issues in the cannabis industry, how regulations add to the problem and what solutions exist to fix this issue before it becomes more of a problem. Joining us to discuss this topic is Ron Basak-Smith and James Eichner of Sana Packaging, a sustainable packaging solution for the industry. Smoke more weed to save the planet? If you’re buying products from Sana Packaging, a company that uses plastic collected from the ocean to make cannabis items, it could be kind of possible. The fast-growing cannabis industry is a growing source of packaging waste, with billions of packages made of plastic, composite materials, and glass already contributing to a new problem. Sana Packaging, founded by two University of Colorado Boulder students, Ron Basak-Smith and James Eichner, has developed hemp- and ocean-plastic-based alternatives for cannabis packaging that is made from natural and recycled materials. Earth911’s Mitch Ratcliffe talks to the Ron and James about their experience as young entrepreneurs in a young industry. The sister towns of Telluride and Mountain Village bagged plans to ban plastic straws after learning about an arcane Colorado law preventing municipalities from doing so. But that hasn’t stopped the resort communities from searching for alternatives to single-use plastics — or even recycling. The cannabis packaging market has undergone significant growth, and various companies in many segments have recently launched recyclable packaging — such as metal cans, compostable cellophane bags and compostable pouches. Product marketing through packaging should be a focus, but meeting local and federal laws is critical for success. Over recent years, the packaging sector has focused on developing design trends that are timeless and sustainable. Below is a roundup of five major packaging design trends in 2019. 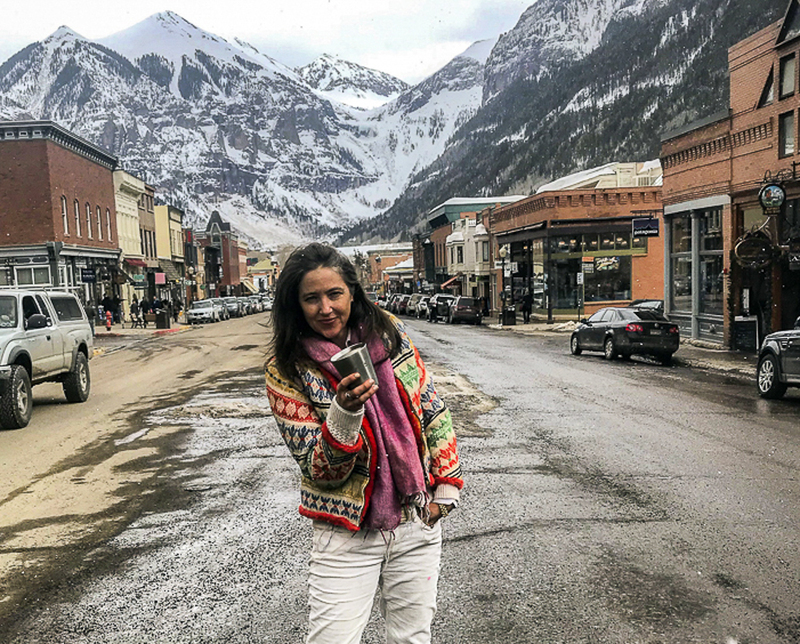 Telluride Venture Accelerator (TVA), an initiative of the Telluride Foundation, is pleased to announce its first 2019 “boot camp”, which will focus on plastic alternative companies in partnership with the Town of Telluride’s Ecology Commission and the Town of Mountain Village’s, Green Team. US-based Sana Packaging has collaborated with Oceanworks to launch new line of 100% reclaimed ocean plastic cannabis packaging and recently delivered first orders to customers across North America. 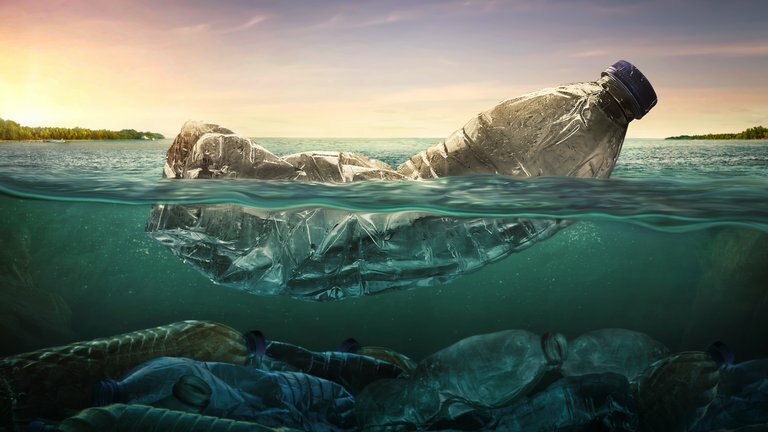 US-based cannabis packaging solutions provider Sana Packaging has introduced a new line of 100% reclaimed ocean plastic products in partnership with Oceanworks. Sana Packaging began as a class project of Ron Basak-Smith and his friend James Eichner while they were at the University of Colorado Boulder. After the pair won a university pitch competition, they applied to the Canopy Boulder cannabis accelerator and were part of the 2017 roster. Sana Packaging evacuates four tons (8,000 pounds) of plastic waste from the ocean with their first orders of 100 percent recovered ocean plastic cannabis packaging. LOS ANGELES, March 5, 2019 (Newswire.com) - Sana Packaging, a startup that designs and develops differentiated, sustainable and compliant packaging solutions for the cannabis industry, launches a new line of 100 percent reclaimed ocean plastic cannabis packaging in partnership with Oceanworks. Sana Packaging recently shipped their first orders of 100 percent reclaimed ocean plastic packaging to customers across North America. While the CSE has proven to be an excellent place for U.S. cannabis companies to go public, it has also been a bit of a tease for U.S. investors that want to invest in these stocks, but can’t because their online brokers won’t allow them to trade stocks on the CSE. GRAND JUNCTION, Colo. - The cannabis industry has grown across Colorado, raking in around 1.5 billion last year alone, according to the Department of Revenue. However, many in the industry said some pot products leave behind more than just smoke. Weed really is one hell of a drug.Recently we explored how cannabis may hold the potential to treat Opioid addiction and improve sperm health, and now it’s helping clean our oceans. Say what? You read that correctly. The rise of cannabis use (both medicinal and legal) has given birth to satellite professions, with sustainable cannabis packaging leading the way. With cannabis legalization working its way across the country, more and more cannabis products are being produced and sold. With the increase in sales comes a growing concern about the waste generated from packaging materials and how to make this part of the burgeoning industry more sustainable. Since the implementation of Prop 64 we have visited roughly two dozen of the premier legal, licensed cannabis dispensaries up and down the coast of California and one of our biggest takeaways so far has been the disconcerting lack of sustainable packaging. 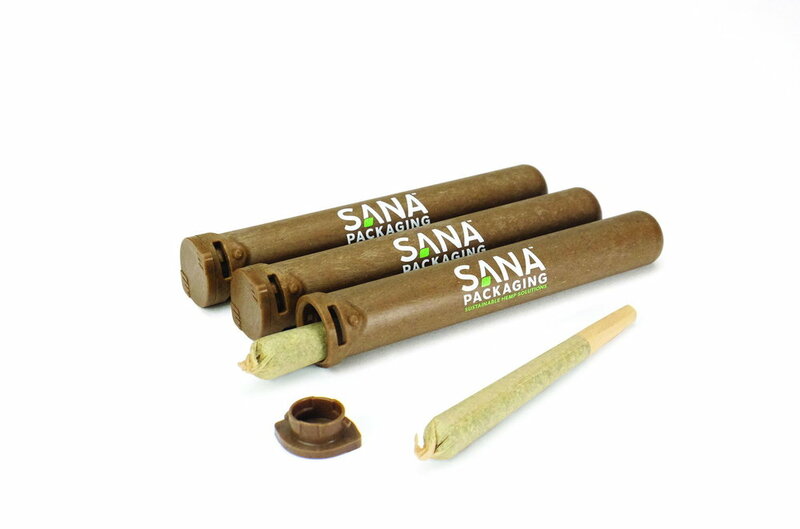 Sana Packaging is known for providing the cannabis industry with 100% plant-based & chemical free packaging solutions. Recently, Sana Packaging has announced a partnership with eco-friendly company, Oceanworks, as well as a new line of products made of reclaimed ocean plastic. Sana Packaging is aiming to modernize how the industry manages packaging, while ridding the environment of such harmful waste. CashCropToday had the privilege of interviewing James Eichner, Co-Founder & CSO of Sana Packaging. Since the 2018 Farm Bill was signed into law just before the new year and the installation of the 116th U.S. Congress, the hemp industry has been bristling with activity. Sana Packaging, makers of 100% plant-based cannabis packaging, is releasing a new line of packaging made of reclaimed ocean plastic in partnership with Oceanworks, an organization that partners with plastic collection and processing agents around the world. Oceanworks document the chain of custody from “shore to store,” and provide an OceanMade mark to communicate authenticity for products that use and can document reclaimed plastic. Sana Packaging and Oceanworks joined forces for a partnership to create a new line of cannabis packaging from an abundant material—ocean plastic. Sustainable cannabis packaging manufacturer Sana Packaging has partnered with Oceanworks to supply a new line of cannabis packaging made from reclaimed ocean plastic. While hemp bioplastics will remain its core focus, the use of reclaimed ocean plastic is hoped to add a new dimension to the portfolio. As the regulatory environment surrounding cannabis use continues to soften, with the US’s recent legalization of hemp leading the way, the cannabis market is expected to become increasingly busy. This may present a host of opportunities for the packaging industry. Two thousand eighteen was the Year of the Package for the cannabis industry, for several reasons: Packaging compliance in many states changed radically, product competition in dispensaries escalated, and the brand wars heated up. Seizing upon all the activity, many well-established and start-up packaging companies took their wares to myriad expos, showcasing what they could do to improve industry standards. When it comes to plastic packaging, two hot topics are coming together to provide one company a business opportunity. 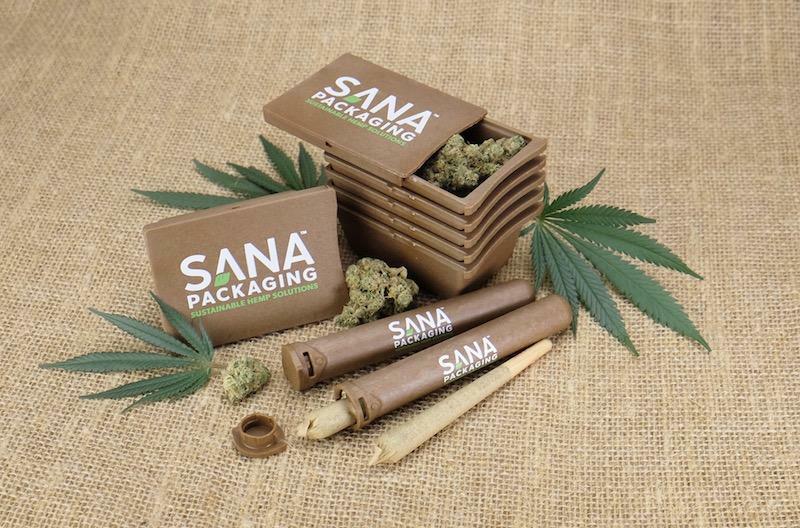 Sana Packaging is a new company that's designing and developing cannabis packaging, an emerging segment of the market that's capturing a lot of attention these days. But the Denver-based company is putting a twist on it with a new line of cannabis packaging made from reclaimed ocean plastics, another hot topic these days. Sana Packaging Inc., a U.S.-based sustainable hemp packaging solutions provider, has reportedly announced its collaboration with Oceanworks Inc., to introduce a new line of cannabis packaging made from reclaimed ocean plastic. The new product line targeting the cannabis industry is set to be launched in the spring of 2019. 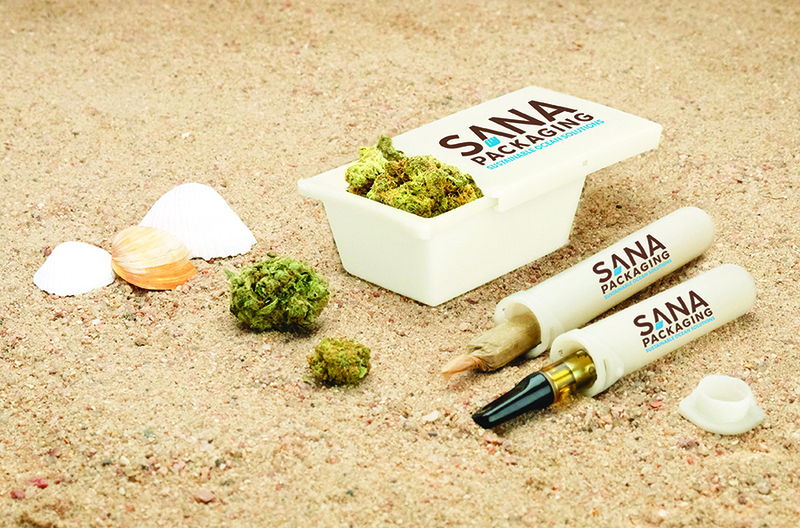 US-based sustainable and compliant packaging solutions firm Sana Packaging has established a partnership with Oceanworks to introduce a new line of reclaimed ocean plastic cannabis packaging. Uma parceria de negócios em prol da sustentabilidade ambiental deu origem a uma nova linha de embalagens para cannabis da Sana Packaging, uma startup que projeta e desenvolve soluções sustentáveis e seguras a consumidores de cannabis. A Oceanworks, empresa parceira no projeto, fornecerá o material plástico recuperado dos oceanos para o desenvolvimento da nova linha de embalagens da marca, que deve ser lançada em março deste ano nos Estados Unidos. LOS ANGELES, January 9, 2019	(Newswire.com) - Sana Packaging, a startup that designs and develops differentiated, sustainable and compliant packaging solutions for the cannabis industry, announces a partnership with Oceanworks and a new line of reclaimed ocean plastic cannabis packaging. The new product line is set to launch in spring 2019. Today on Hempresent we’re joined by James Eichner, co-founder, and CSO of Sana Packaging. James earned a BA in English from Colorado College and an MBA in Sustainability, Entrepreneurship, and Finance from the University of Colorado Boulder. DENVER — It's no secret the marijuana industry in Colorado is booming. The average price of a pound of marijuana rose late this year, meaning our state reaps the benefits from the tax revenue. And more businesses that don't sell pot, but sell things related to it, are really cashing in. Colorado’s green gold rush has its version of pickaxes and denim: businesses that support and service the cannabis industry but don’t get their fingers sticky touching actual marijuana. Sana Packaging, based in Colorado, is another company blazing a trail towards sustainable and compliant cannabis packaging. Sana has created and is currently piloting hemp-based, biodegradable and recyclable packaging that is CRC compliant. James Eichner, a co-founder of Sana, sees an opportunity within the pot business to innovate and advocate for sustainability. “We're using this platform to speak up and help change the way we think about sustainability, disposable products, and waste recovery,” James says. A company innovating in this space is Sana Packaging, a US-based hemp manufacturer that makes 100 percent plant-based and chemical-free bioplastic packaging for the cannabis industry. Sana Packaging is a bold new venture which seeks to revolutionize the packaging industry with sustainable hemp products. We met their Co-Founder & CSO James Eichner in California last June to talk about Millennials, the environment and the future of cannabis. Read on! Colorado's Sana Packaging, a cannabis packaging manufacturer, estimates that the cannabis industry will produce 1 billion units of plastic waste annually by 2020. Sana aims to reduce the amount of plastic waste in the cannabis industry by creating plant-based packaging that is compliant with state regulations. Sana Packaging is a Denver based company that focuses exclusively eco-friendly packaging solutions for the cannabis industry specifically. 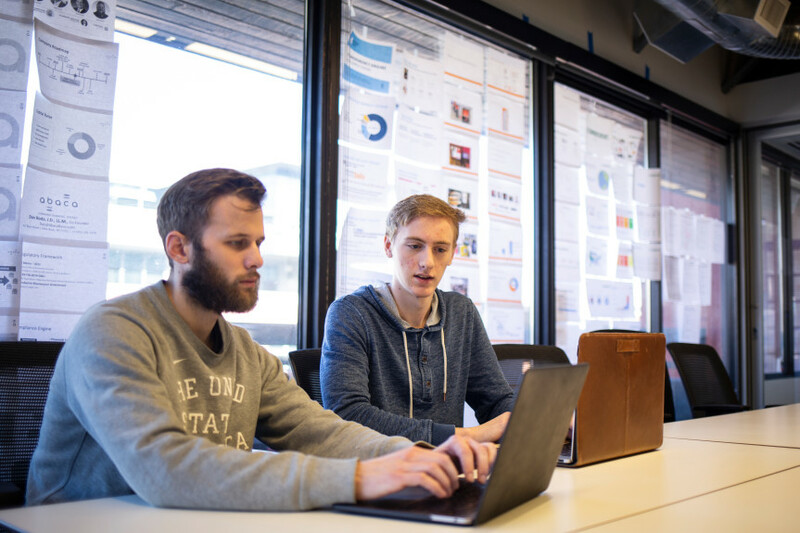 The company was founded by Ron Basak-Smith and James Eichner of the University of Colorado Boulder and quickly moved to Canopy Boulder accelerator where they developed Sana into what it is today. With the explosion of the legal cannabis industry, consumers are buying more and more products from dispensaries around the U.S. In the state of Colorado alone, 460,000 pounds of marijuana was consumed in 2017. With thousands of pounds being sold each year, many view the packaging of those products as an afterthought. But with the amount of marijuana moving through dispensaries, the industry needs to focus on what packaging they choose to supply their products in. Denver Startup Week is back again this September 24 with more than 350 programs focusing on finance, retail and community building through workshops, speakers, panels and of course, some high-stakes competitions. This includes the pitch challenge, where six finalists have the chance to win $100,000 in prizes by harnessing all of their entrepreneurial energy to present one winning pitch to a panel of judges. The pitch challenge has been putting local go-getters to the test for three seasons and this year’s competition lineup is stacked. Check out the companies vying for their shot at the prize. 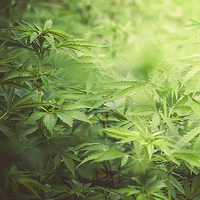 cannabis tech: "From College Grads To Environmental Heroes"
Hemp today: "Colorado hemp plastic startup says it’s shipped first orders in North America"
Marijuana.com: "Good Things Can Come in Small (Environmental Footprint) Packages"
The cannabis industry continually grows across the United States, and with that growth there have been a number of benefits — and unintended consequences.Environmentally aware cannabis consumers may have noticed that the pollution and waste generated through cultivation and manufacturing is detrimental for the environment. Plastic pollution and waste, in particular, are becoming a concern to many. Cannabis compliance & packaging magazine: "SANA PACKAGING IS OPEN FOR BUSINESS"
Marijuana Retail Report: "Sana Packaging Delivers First Orders To Customers Across North America"
mg retailer: "Sana Packaging Delivers First orders to Customers Across North America"
Canna newswire: "Sana packaging is open for business"
Sana Packaging delivers their first orders of 100 percent plant-based hemp plastic cannabis packaging to customers across North America. mg retailer: "The Recommender: Products that are Kind to the Earth"
Flower is all about the grower, and I like mine sustainably produced and sun-grown. Some of my favorites include the Royal Kush grown by Earthworks Farm in Mendocino County (part of the Flow Kana cooperative: FlowKana.com/farms), Super Fruit grown by Huckleberry Hill Farms (HuckleberryHillFarms.com) in southern Humboldt County, and Amnesia Haze grown by the Burnside Garden Collective in Portland, Oregon. bizwest: "Canopy Boulder invests $575,000 in follow-on capital"
BOULDER — CanopyBoulder, an accelerator and venture fund for ancillary companies to the cannabis industry, has made $575,000 in follow-on investments in several cannabis companies.At least eight companies that previously went through Canopy’s business accelerator and received an initial $30,000 investment are receiving follow-on capital. future cannabis project: "california cannabis packaging compliance"
Cu boulder alumni spotlight: "sana packaging"
Sana Packaging is a startup that designs and develops 100% plant-based hemp plastic packaging solutions for the cannabis industry. The founders, Ron Basak-Smith and James Eichner, are both Leeds MBA alumni. In fact, they started working on Sana Packaging in Jeff York’s Sustainable Venturing class and George Deriso’s Business Plan Development class during their 2016 fall semester. A few months later, Sana Packaging was accepted to CanopyBoulder, a seed-stage business accelerator focused on ancillary products and services in the cannabis industry. Ron and James completed the accelerator program the same week they graduated from Leeds. Uncanny wellness: "8 Ways Hemp Can Save The World"
Take a moment to visualize something with me. Picture a vast sea of bright green plants as far as the eye can see. You can practically feel the rich soil they’re growing out of and you can hear the birds happily chirping as they fly overhead. The sun is setting, and off in the distance you can see someone driving a tractor, harvesting a section of the crop and moving it to where it will be processed. Zooming out a bit from the field and you can see solar-powered factories with these bright green plants entering on one side. Out the other side are an incredible new generation of bio-plastics, biofuels, health products, and more. Ministry of hemp: "Hemp Packaging Offers Sustainable Alternatives To Paper & Plastic (VIDEO)"
hemporium: "Hemporium’s Hemp 'Field Trip' 2018: Colorado Hemp Expo"
Hemporium’s Tony Budden was invited to speak at the world’s largest hemp gathering, the NoCo Hemp expo in Colorado, last month. The event was sold out on both days, with over 150 exhibitors and 75+ speakers. This was a great indication of the growth of the industry in a relatively short time in Colorado and the rest of the States that allow hemp to be grown. bizwest: "What to expect if you want to build a cannabis startup"
Cu boulder today: "Several CU affiliates to speak during Boulder Startup Week"
Come celebrate Boulder's innovative startup culture with over 200 events, free and open to the public, at Boulder Startup Week May 14–18. Take a look below at some of the sessions featuring CU Boulder faculty, staff, students and alumni, as well as Regent Heidi Ganahl. Boulder weekly: "Aligning PLant with plant: The cannabis industry’s first reliably sustainable packaging alternative, potentially"
Canopy Boulder: "Alumni spotlight: sana packaging saves the planet"
One of the things we hear around here from time to time is the appeal of the cannabis industry because it is not yet set in decades of tradition. This reality opens up opportunities to build something with the state of our world in mind. Ron Basak-Smith and James Eichner of Sana Packaging are two of the visionaries bringing a more sustainable future to this nascent industry. let's talk hemp & the 422: "Season 1, episode 17"
Episode 17 of #LetsTalkHemp and #The422 brings us to Balboa Park in San Diego for the 2018 EarthWorks Fair and largest free earth day celebration in the world. Colorado Hemp Company and The Hemp Road trip along with dozens of other hemp and cannabis companies converge in the Cannabis Village on The 422. Special guests include Sana Packaging, Hemp Zoo, Doug Fine and Cait Curley. Ministry of hemp: "Largest NoCo Hemp Expo Ever Outgrows Loveland, Colorado"
Cashinbis: "5 innovative hemp product trends from noco hemp expo"
The 5th Annual NoCo Hemp Expo on April 6-7 at The Ranch Events Complex in Loveland, Colorado showcased top hemp companies and brands to leaders in farming, genetics, product development, innovation, technology and market strategy. hemp zoo: "plant-based cannabis packaging"
Looking to step up your cannabis packaging game? SANA PACKAGING is made in the USA of 100% plant-based hemp plastic packaging. As the cannabis industry grows so does the 8.3 billion metric tons of plastic trash in our landfills and oceans. SANA PACKAGING is doing a great service for the earth we live on and the cannabis industry. 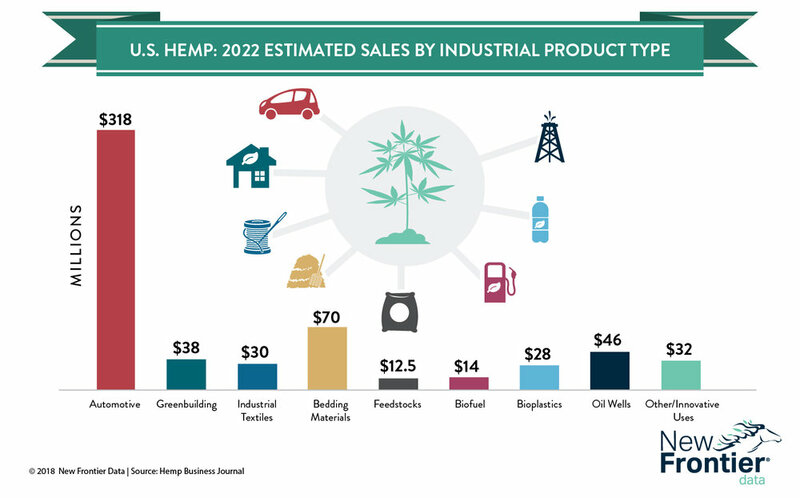 Hemp: "WHAT THE HEMP PLASTIC MARKET NEEDS TO SUCCEED"
It’s hard to write about hemp bioplastics without first addressing our global plastic problem. So without further ado, a 2017 study published in Science Advances states that since we began mass-producing plastics in the 1950s, we’ve created over 8.3 billion metric tons of plastic. Of these 8.3 billion metric tons of plastic, only 9 percent has been recycled while 79 percent has ended up in our landfills and natural environment. If we don’t address this problem, by 2050 there will be over 12 billion metric tons of plastic polluting our landfills and natural environment. Fresh Toast: "3 ways to be a conscious cannabis consumer"
GANJA TALKS: "Bioplástico de cânhamo: startup traz solução sustentável ao mercado canábico"
James Eichner é co-fundador da Sana Packaging, empresa americana que traz soluções de embalagens diferenciadas, sustentáveis compatíveis com a indústria de cannabis, produzidas totalmente com plástico de cânhamo. Com M.B.A. em Business pela Universidade de Colorado Boulder, James é apaixonado pelo ar livre e em proteger o meio ambiente, e acredita na responsabilidade dos ganjapreneurs para a construção de uma indústria canábica com valores sólidos e que gerem retorno à comunidade e ao meio ambiente. cannabis packaging news: "the cannabis industry has a plastic problem"
Since we began mass-producing plastics in the 1950s, we’ve created over 8.3 billion metric tons of plastic. Less than 10% of this plastic has been recycled while 79% has ended up in our landfills and natural environment. What does this have to do with cannabis packaging? The short answer is: everything. High friends podcast: "perverted by prohibition"
leafly: "7 Eco-Friendly Cannabis Brands Helping Us Get High Sustainably"
hanf magazin: "Hemp: A green solution for our addiction to plastics"
Humans have a frightening addiction to plastics – and it’s only getting worse. In the USA, only 14% of recyclable plastics are collected and only 5% are actually processed, therefore 95% of plastics are single use and end up in the landfill – or worse – our oceans. The Ellen MacArthur Foundation has projected that, if things don’t change, by 2050 there will be more plastic than fish in the world’s oceans. This is a catastrophic situation, which requires urgent affordable, sustainable, and scalable solutions. Attempting to reduce plastics usage and increase recycling programs will only help so much, we urgently need a system redesign and majorly shift the raw materials used in the production of all this plastic. thc magazine: "SANA PACKAGING: Packaging cannabis with cannabis"
One Denver company, expected to go into full-scale production in early 2018, is packaging cannabis with cannabis. “Our vision for this company is to be able to package cannabis with cannabis products and cannabis waste and really close the resource loop here and get rid of a lot of the waste we already have,” says Ron Basak-Smith, co-founder and CEO of Sana Packaging. Denver Westword: "Grateful Hearts Will Celebrate Hemp in Boulder on June 9"
The eighth annual Hemp History Week, which runs from June 5 through 11, is a national grassroots effort pushing to restore support for industrial hemp farming in America. And the Denver-based Industrial Hemp Research Foundation is doing its bit by putting on an educational soiree in Boulder from 2:30 to 5 p.m. on Friday, June 9. The Grateful Hearts Unite for Hemp fundraiser coincides with the Dead & Company concert at Boulder's Folsom Field. Only minutes from the music venue, the hemp-centric event at Cafe Aion promises giveaways, food, drinks and music from the female bluegrass & Americana fusion band Pistols and Petticoats. MARIJUANA TIMES: "How America is Celebrating Hemp History Week"
The Industrial Hemp Research Foundation (IHRF) has organized an event on June 9th to celebrate and educate people about the history of hemp. From 2:30 – 5:00 Café Aion will host the Grateful Hearts Unite for Hemp, a pre-party fundraising celebration while the Dead & Company is in town for a concert at Boulder’s Folsom Field. BOULDER MAGAZINE: "Colorado’s bumper crop of cannabis businesses"
BIZwest: "SAna Packaging one of ten startups graduating from 13-week cannabiz accelerator"
BOULDER — Ten startups, all providing ancillary products and services related to the cannabis industry, showcased their pitches at the Demo Day for the Canopy Accelerator. The demo day for Canopy — one of the first accelerators for startups in cannabusiness — is one of two demo days to take place during Boulder Startup Week. blunt network: "Sana packaging wants to repackage legal cannabis"
Sana Packaging co-founders James Eichner and Ronny Basak-Smith met while students at the University of Colorado’s Leed’s School of Business. The start-up is now in the Spring 2017 group at Canopy Boulder, the cannabis business accelerator. They spoke to Blunt Network about why the legal cannabis industry needs new packaging. canopy boulder: "Sana packaging presenting at the canopy boulder demo day on May 15"
BOULDER, CO, April 20, 2017 – Canopy, a venture fund and business accelerator for companies developing ancillary products and services for the legal cannabis industry, is pleased to announce multiple events for investors and the public to mark the graduation of its Spring 2017 accelerator program cohort. pitchbook: "VCs planting seeds in the cannabis industry: sana packaging one of three cannabis startups to watch in 2017"
The startup world has seen a growing number of cannabis-related companies crop up over the past several years, a development that's likely driven by the increasing number of US states to legalize marijuana in some capacity. The industry is ripe for technological innovation—and several companies and investors are taking advantage. Cannabis FINANCIAL network: "sana packaging one of six Cannabis Startups to Watch in 2017"
The legal cannabis business in the United States is booming. Recent numbers released by New Frontier Data and published by The Cannabist predict the market to be worth a staggering $24 billion by the year 2025. With 29 states having already legalized marijuana for medical and/or adult-use purposes, and more states considering the topic every year, it’s no surprise that investors want to get in while the getting’s good. canopy boulder: "meet the founders: sana packaging"
Sana Packaging is an alternative to the plastic packaging options available in the cannabis industry, experimenting with hemp-based materials to decrease the carbon footprint and non-biodegradable waste output of packaged goods. canopy boulder: "sana packaging accepted to canopy boulder accelerator program"
BOULDER, CO, Feb 16, 2017 – Canopy, a venture fund and business accelerator for companies developing ancillary products and services for the legal cannabis industry, is pleased to announce the launch of the Spring 2017 class. Ten startups are taking part in the 16-week accelerator program with businesses ranging from geo-mapping technology to help consumers find the best value on cannabis products, to vending machines that use facial recognition technology to securely identify consumers.